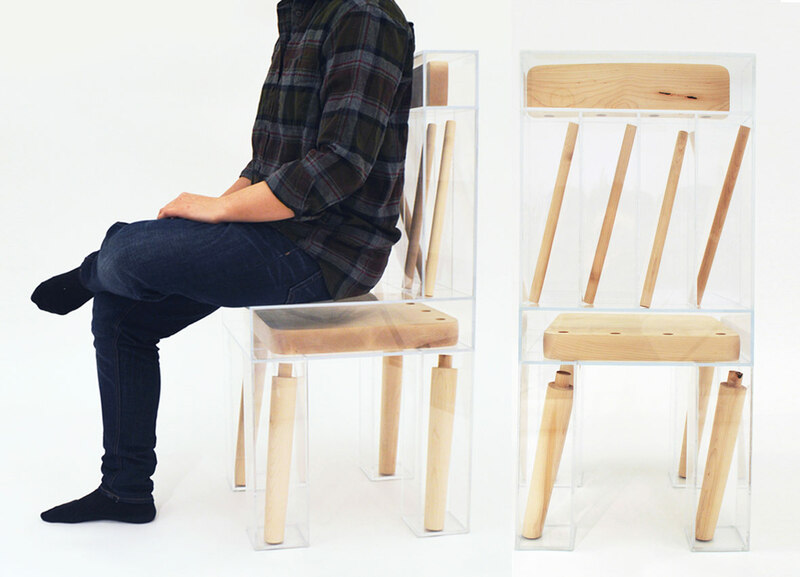 For Exploded Chair, one of Lin’s most well-received project, she dissects a wooden spindle chair, encasing its dismembered parts within transparent acrylic containers. 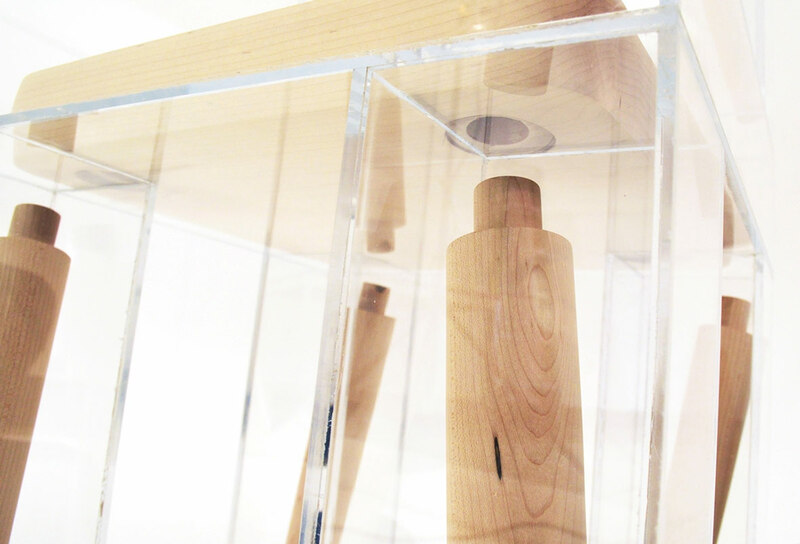 Each individual piece that makes the chair whole is isolated and shifts freely in their respective containers. 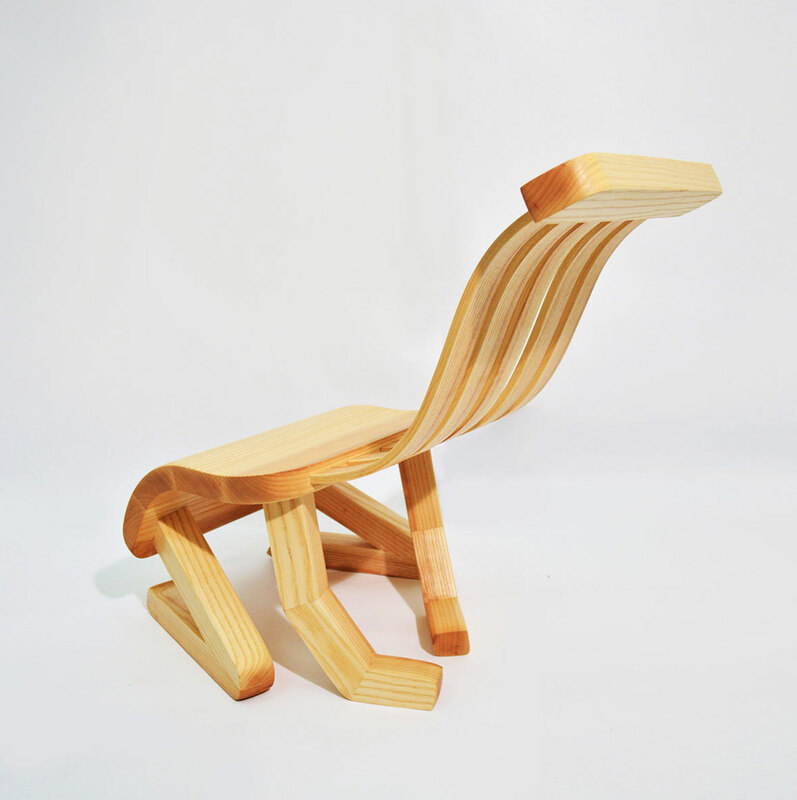 While most people naturally believe that these disembodied pieces of wood are what makes the chair a chair, Lin’s reimagining of the traditional chair challenges this concept. 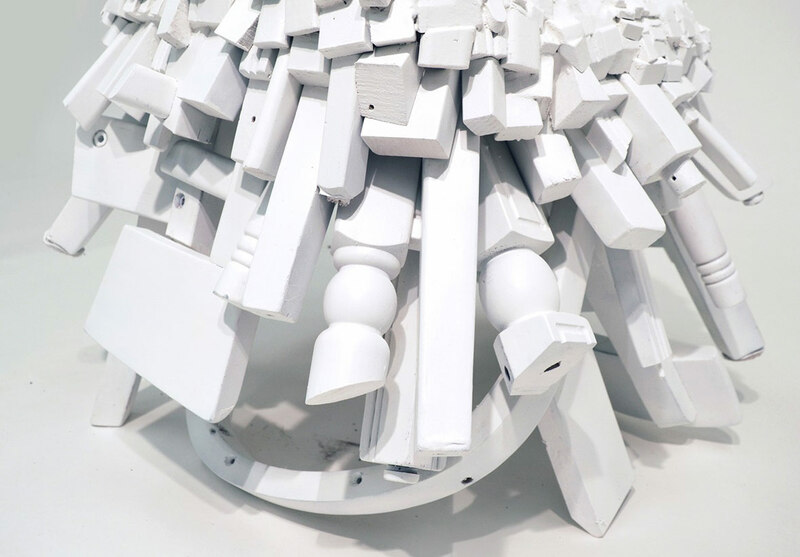 This project plays off of the audience’s expectations and is her way of making viewers question the function of a chair and contemplate the role of different materials as well as the meaning of permanence. 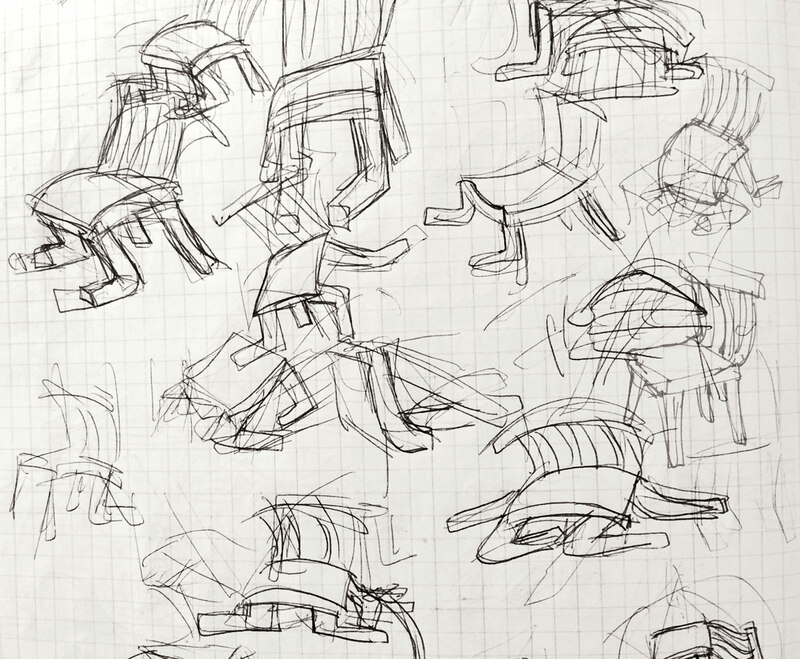 In an older project, titled Used Chair, Lin manipulates the anthropomorphic elements that she’s observed in the seating furniture with the idea of creating a “subservient” chair. 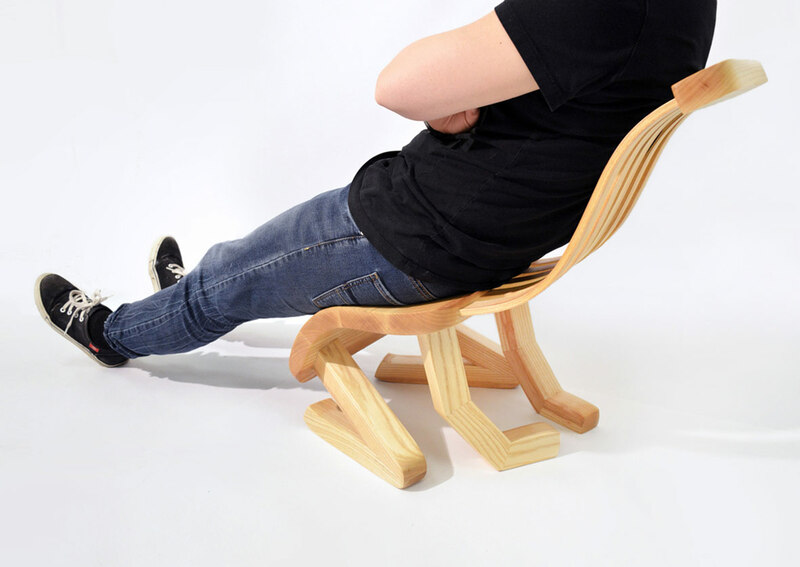 The final creation bends the traditional wooden legs into human-like limbs, positioned to almost look as if the chair was groveling on its knees. 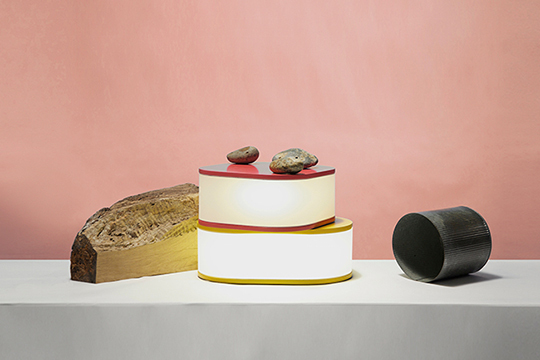 Lin intended for this project to be a statement piece on the relationship dynamic between people and objects. 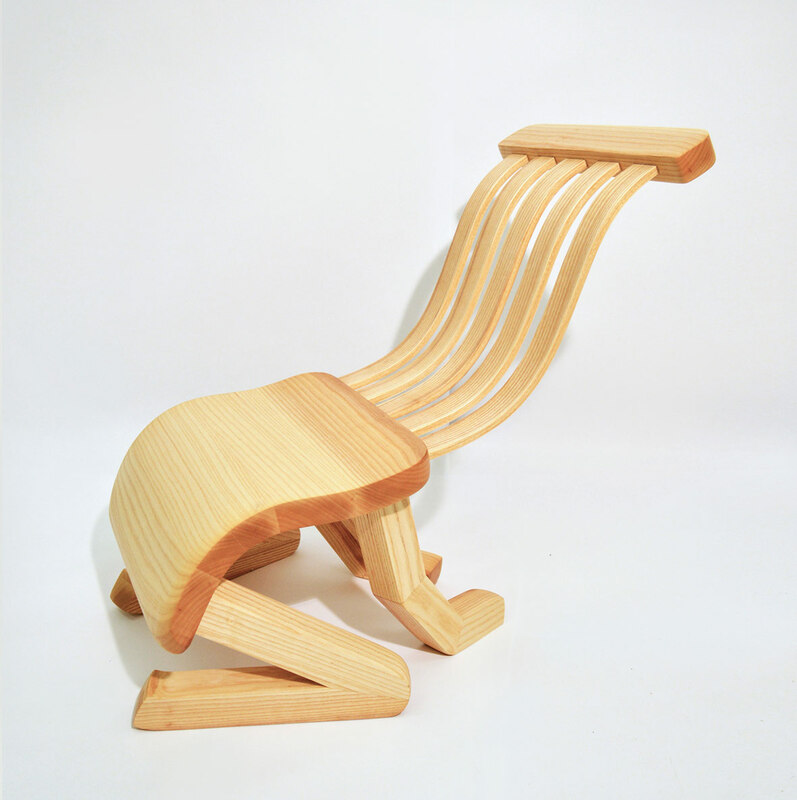 In a separate project, titled Fused Chair, Lin salvaged parts from five discarded chairs. 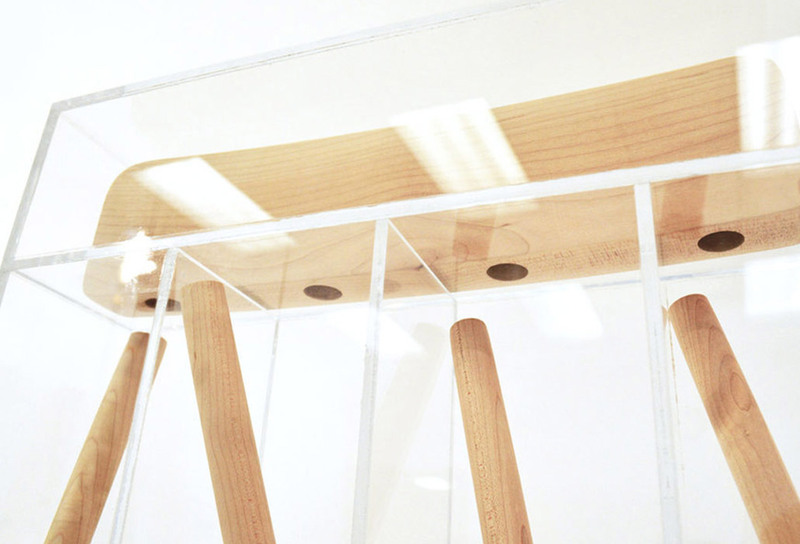 The bottom part of the final creation is formed of distinctively identifiable parts from the original chairs. 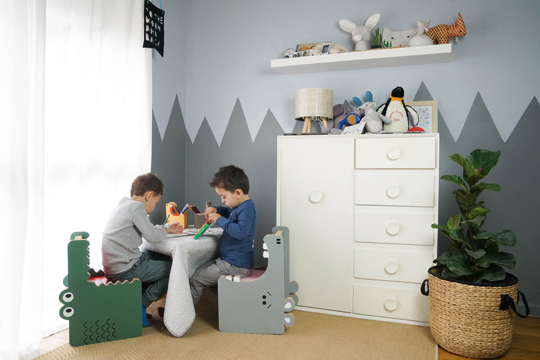 Moving up, they begin to disintegrate into generic cubic shapes before finally forming into a smooth seating surface and back support. 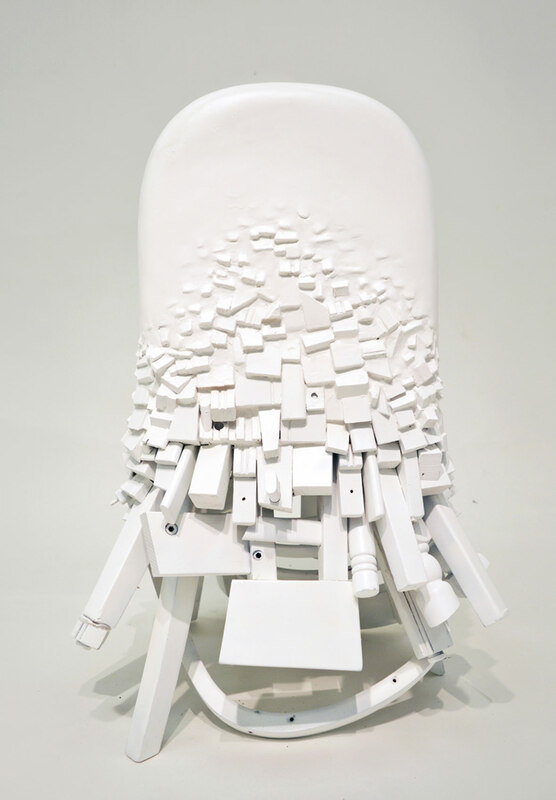 Presenting the chair’s evolution in three different stages, this piece is meant to display the gradual process of change and visualize how materials transform into a final product.